How do I enable autoparsing? How do I turn them on/off? Getting the RSS feed upload link. Attention. If the RSS-file doesn't contain information about tags or advertising systems, you can add it in Yandex.Webmaster. If you specify this information both in the RSS feed and in Yandex.Webmaster, the RSS feed data has a higher priority. In Yandex.Webmaster, go to the Turbo pages → Settings page. If you use authorization to access the RSS channel, enter your username and password. To do this, click the enter your username and password link. The Access settings block opens. This is usually the site URL (www.example.com). 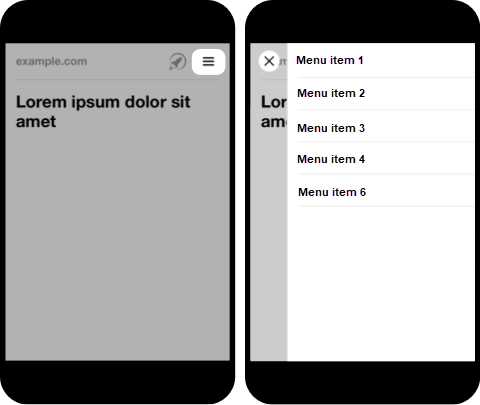 If you want to display only the site name, select the Site name only type from the Display list. PNG up to 30 MB. SVG up to 10 KB. Square + Site name — The minimum size is 96 × 96 pixels. Rectangle — The minimum height is 84 pixels. In the Turbo page menu section, click the Add menu item button. In the Menu item label field, enter the link text. It will be displayed as a menu item. In the Page link field, enter the site page URL. You can add up to 10 menu items. The automatic feed is generated from related pages on your site. When you enable the feed, these pages are displayed one after the other. This allows you to increase the number of views to 30%. To generate the feed, your site should have as many Turbo pages as possible. If your site has at least three or four articles with similar topics, the algorithm will put them in a feed. The RSS feed doesn't include the type attribute with the infinity value in the yandex:related element. Turbo page titles should be filled in and match the content of the articles. Note. If you configured the feed through the RSS-channel, the settings in Yandex.Webmaster don't affect its display. The feed can contain up to 15 recommendations for each Turbo page. A new Turbo page appears in the feed within 24 hours. To turn on the feed display, in the Automatic recommendations feed block, switch the radio button to On and save the changes. If Yandex.Webmaster displays the feed examples, it will be shown for your site's Turbo pages during the day. If there are no examples, it means that there is not enough data to generate the feed yet. If new Turbo pages appear when this option is turn on, the feed is displayed on them within three hours. If you placed adds on Turbo pages through ADFOX, choose the <non-duplicated banners> option in the Code type parameter in the Parameters tab. For details, see . A set of feedback buttons displayed in the lower right or left corner of the window. You can add up to four buttons. Enter the phone number the user can call. For example, +7 012 345-67-89. Enter the email address the user can send a message to. For example, mail@example.com. Note. Specify the address located on your domain, not on third-party email services. If you don't have such an address, create one, for example, with Yandex.Mail for domain. Enter the email address to send the user's message to. For example, mail@example.com. The feedback form opens on top of the page content when you click the button. Note. Specify the address located on your domain, not on third-party email services. If you don't have such an address, use intermediary services, for example Yandex.Mail for domain. You can add a link to the user agreement. It will be displayed under the form. To do this, fill in the fields in the User agreement block. More about the Chat for business technology. Create an account on one of the supported chat platforms. 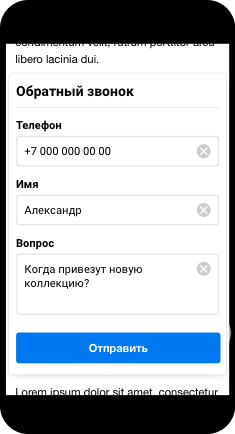 In the Yandex.Dialogs service, create a chat for the site or individual pages. To create a chat for the whole site, specify the domain of the source page for which the Turbo page is generated in the chat settings. You can also create a chat only for the source page. In this case, its address in the chat settings must match the address in the data source that you send through Yandex.Webmaster. 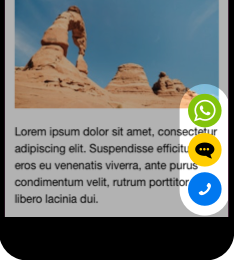 In the Feedback widget block, choose Chat as a communication method. The chat will appear in the search results according to the schedule specified in the chat settings. In the settings, enter the link to the chat, channel or social network page (group, contact and so on). For example, https://t.me/example. Choose the connection type and fill in the field. Use the Turbo page example to check if the buttons work correctly. Specify where you want to place the icons: on the left or on the right.